The idea that Spock was the first Vulcan in Starfleet seems to be a bit of common cultural knowledge with little or no foundation. But the presence of Admiral Patar in Discovery S02:E09 strongly suggests otherwise. However it is possible that more senior Vulcans transitioned from another service (such as the Vulcan Science Academy) after Spock joined. T'Pol is another common problem with this, however my understanding at the moment is that Enterprise NX-01 is an Earth Starfleet, not a Federation Starfleet vessel and as such T'Pol, no matter what her status on Enterprise, would never have been a member of "Starfleet", as the organisation in question does not exist until after the end of the series Enterprise. Is there any canonical data to confirm or categorically disprove the status of Spock as the first Vulcan in (Federation) Starfleet? He is not the first Vulcan in Starfleet. Star Trek Enterprise by itself puts a nail in the coffin: near the end of the third season, when the ship returns to Earth after having stopped the Xindi attack, T'Pol is formally inducted into Starfleet and given the rank of Commander. In TOS, there was also a clear indication: in "The Immunity Syndrome", USS Intrepid is crewed entirely by Vulcans, so unless they transferred en masse from the Vulcan Expeditionary Group (which seems unlikely, given the apparently conservative nature of the organization as shown in Star Trek Discovery), that would imply the senior officers were, at least, Spock's peers. As good as Spock was, it's unlikely another Vulcan would make captain before him if he had a head start. Star Trek Discovery simply adds to it in that they've shown Vulcan admirals in Starfleet, while Spock is still a lieutenant in his 20s. Given the question change about "Earth Starfleet" or "Federation Starfleet", there is no difference. This is clearly demonstrated in Season 1 of Star Trek Discovery when Saru asks the computer to list the most decorated captains in Starfleet history, with no qualifications as to what organization he's talking about. Archer was listed, clearly indicating that as far as Starfleet was concerned there was no distinction. I hazard that he was not. In the Original Series episode "Immunity Syndrome", we have the USS Intrepid. We are told the Starfleet vessel was crewed exclusively by Vulcans. To have 430-ish Vulcans, from the Captain down to the Assistant Dishwasher, would suggest several of his people were ahead of Spock in processing through the Academy to serve. Memory Alpha states that T'Pol joined Starfleet some time around 2154 as a commander on Captain Archer's Enterprise (the NX-01), though the wording is a bit ambiguous. Though Archer's starfleet is not the United Federation's Starfleet, Archer was present when the Federation was founded, and assuming Earth's Starfleet was entirely absorbed into the UFP's Starfleet, T'Pol was also a member of it. 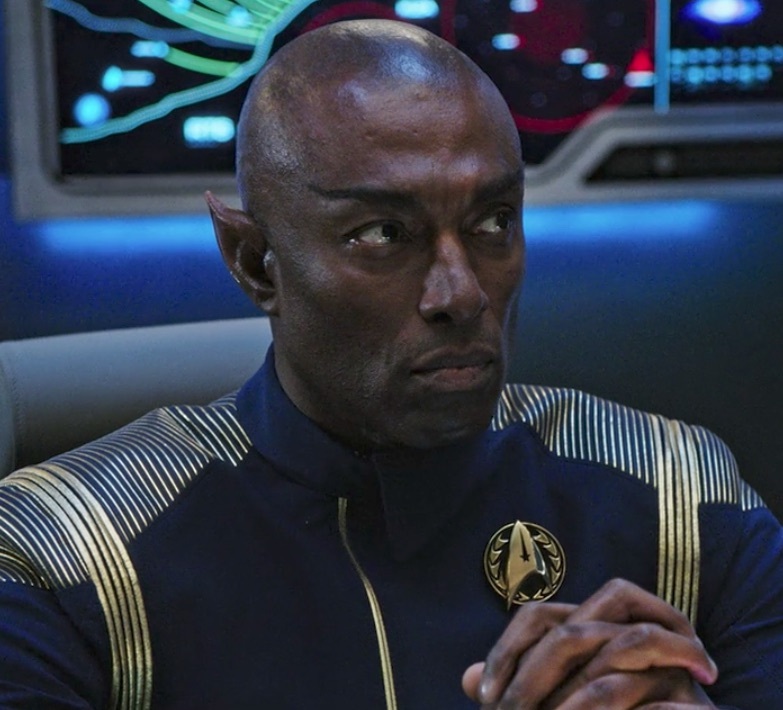 Although this just may prove to be another potential contradiction, since it is Star Trek Discovery that introduces him, there is Admiral Terral. Terral was a Vulcan who served as an admiral in Starfleet during the Federation-Klingon War of 2256-57. It seems likely given that he is an admiral that he would have had to have gone through Star Fleet Academy and beyond to require such a rank. However, there is no background information on this character at this time to prove it as certain. Was Spock the first Vulcan to attend Starfleet Academy? I stumbled across Star Trek: The Fearful Summons, © 1995. It is a novel written by Denny Martin Flinn, one of the authors of the screenplay for Star Trek VI: The Undiscovered Country (1991), and claims (on the cover) to be a sequel to that film. and it goes on to change the subject. So, while this is not a flat-out statement in the book (i.e., by the author), it is a statement by a Vulcan (who has no reason to lie, and is unlikely to state a speculation as fact) to Spock, who does not deny it. 1 of the Pocket Books paperback. This is about ⅜ of the way through the “Starbase 499” section in “Day Seven”. 2 Commander Sencus, Science Officer of the U.S.S. Excelsior, is a full-blooded Vulcan. I'd believe they were the first. Riker even stated "Initially ignored as being too primative, however, the world suddenly gets bigger after the test." Not the answer you're looking for? Browse other questions tagged star-trek vulcan spock starfleet-command or ask your own question. Why did the crew act violently? if Spock had a child with a human would it still have Vulcan powers?